The challenge: Create a design that would be cheaper to produce, yet still stand out on shelves, with a corrugated brown paper package. Using black and white, allowed the brown background to become a defacto free third color. 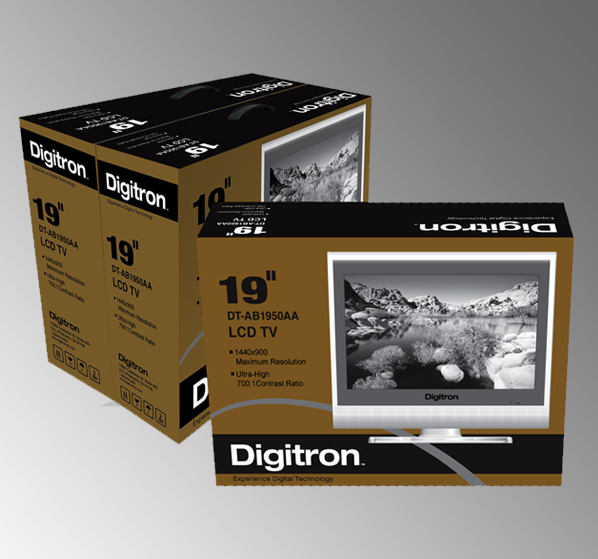 Also created the Digitron logo and retouched the stock photos into the TV product image for an impressive display. Convenient handle makes the large product easy to carry home.